La Paz is one five main locations in Baja California Sur – which also include Cabo San Lucas, San Jose del Cabo, Todos Santos and Loreto. All of these places can be discovered individually with Mexperience. La Paz—meaning “Peace”—is on Mexico’s Baja Peninsula, the land immediately south of the United States, and cut off from mainland Mexico by the Sea of Cortes, also known as the Gulf of California. This region of Mexico is a real paradise with its hot deserts, breezy oceans and cool waters reflecting several different shades of blues and greens. The region is a particular favorite with divers, golfers and people looking for sports fishing excursions. There are two golf courses in La Paz: Mogote Golf and Costa Baja. 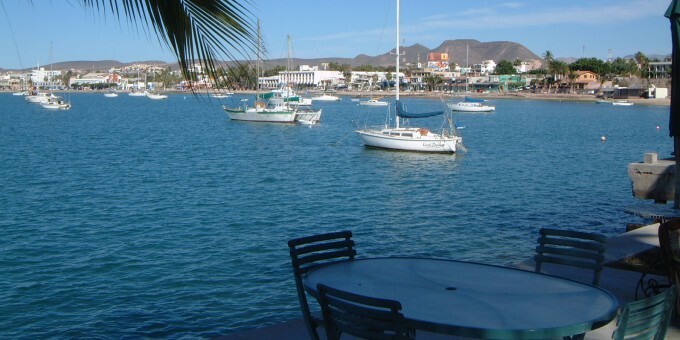 La Paz still exhibits the old world charm of Mexico’s Baja region. The city is the state capital of Baja California Sur, and there are four universities in the city which are a source of cultural and academic events. No other town or city in Baja California Sur offers the range of medical facilities available in La Paz, so if you’re traveling in the region and need some medical assistance, La Paz is your best stop. La Paz boasts good hotels, well developed infrastructure and a friendly laid-back atmosphere—a perfect recipe for a first-class family holiday and increasingly popular with expats who are choosing to settle here. Tropical deserts and fascinating wildlife make this venue a great place for people looking for an Eco Tour. Unspoiled, remote beaches are just a short ride away from the town. If you’re looking for some of the most beautiful beaches in the world – and which will easily rival any you may have seen in the Caribbean or elsewhere – look no further than a few miles from La Paz. Soft sandy beaches and crystal clear waters reflecting the unmistakable blues and greens of perfect tranquility are waiting here for you to experience and enjoy them. La Paz is a commercial port, so swimming in the waters nearby the city is not always ideal. The most popular beach for swimming is La Concha, which is just north of town. Beach tours will take you out to the more remote beaches, away from the crowds and the ships. La Paz is a perfect base from which to enjoy Mexico’s great outdoors and take part in a variety of nature and adventure experiences in Mexico. The local ecology, the landscape, the climate and the proximity to the sea make this region a natural paradise for those who love being in nature. What’s more, you can find experienced and well-equipped local adventure companies in La Paz who are ready to help you enjoy the best of what this region offers. Fishing, kayaking, sailing, camping, surfing, horseback riding, nature walks, fabulous bird watching, cliff hikes, sunset cruises and watching the amazing whales and sea lions are just some of the activities you can enjoy in the area. With its calm waters, fine weather and uncompromising beaches, water sports are one of the main attractions in La Paz. Snorkeling, SCUBA diving, kayaking, water skiing and jet-skis—if it’s water based, you can experience it here. See Also: Water Sports in Mexico. What better way to enjoy the scenery than on a local boat cruise? Local cruises take you on tours around the many islets surrounding Baja California Sur and can include a visit to the largest sea-lion colony in the area (see below for more details about these) and sunset cruises that let you experience some of the most wonderful sunsets you’ll ever view in your life. From the Bering Strait, whales migrate to the Pacific coast of Baja California Sur between January and March of each year. To see the marvel of the great creatures, you’ll need to visit ‘in season’. There are 3 main areas where it’s best to view the whales – the main one being Magdalena Bay off the Pacific Coast – check the Mexperience Travel Center for details of these organized Eco Tours (link below). You can also take a cruise to one of the islands just off the coast of La Paz, and see Baja’s largest sea-lion colony. La Paz is one of Mexico’s top destinations for Sports Fishing. See Also: Sports Fishing in Mexico. Although water-oriented activities dominate La Paz’s activity scene, don’t miss some of the drier attractions waiting for you inland here. The Anthropology Museum and City Theater are two main attractions worth looking at if you’re in need of an in-door activity. The museum is open six days a week. Check locally for scheduled theatrical presentations. By Air – You can get to La Paz by air from Mexico City, Guadalajara, Tijuana and Los Angeles (USA). The airport is about 10 miles (16 km) southeast of La Paz. Land transport is available from the airport into town; For detailed information about flights and flying, see the Mexperience guide to Air Travel in Mexico. By Bus – To get to Baja California Sur from the United States, your best bet is to fly there; the bus journey from Tijuana to La Paz is about 27 hours; then a further 2 hours from there to Los Cabos. For detailed information about bus transportation read the Mexperience guide to Bus Travel in Mexico. By Car – Driving to La Paz from the southern border of the United States will take you about 20-24 hours on Highway 1. There is a car ferry that makes a crossing from La Paz to Topolobambo (near Los Mochis) and Mazatlan. See Ferry, below. Also read additional information about Driving in Mexico and Mexico’s Toll Roads on Mexperience. Car Rental – To properly explore Mexico’s Baja Peninsula consider renting a car for your visit. Car rental agents are available inside the airport terminal and booking in advance will save you money. Having your own car will give you more flexibility than using public transport options and, in some cases, offer you access to places which are otherwise difficult to visit without the use of a car. Read our guide to Car Rental in Mexico to learn what you need to know about car rental in Mexico and connect to the Mexperience Travel Center to reserve your Rental Car. By Ferry – If you are on Mexico’s mainland, or want to get to it, there is a ferry that crosses the Sea of Cortes (also known as the Gulf of California) to and from La Paz to the port cities of Mazatlan and Los Mochis (Topolobambo). The ferry trip to/from Mazatlan takes 18 hours and does not run daily; sleeping cabins are available with advance bookings. The ferry to/from Los Mochis (Topolobambo) takes around 8 hours and does not sail daily either. Check the Ferry’s web site at: http://www.ferrytmc.com/ for details of routes, schedules, prices and contact details. A catamaran ferry service between Topolobambo and La Paz has been introduced which cuts the journey time in half based on the previous ferry services. See the Baja Ferries web site (link above) for details. Taxis – Taxis in most of Mexico’s beach-side towns and cities are not metered, so agree your price before you get in. Taxi travel is very affordable in Mexico, in comparison to the USA, Canada and Europe, and so provides a viable means of public transportation in Mexico. Your hotel can arrange taxis for you; some post their rates on a board in the lobby; taxi hotel rates are usually higher than cabs you hail off the street. If you speak Spanish, you will have a distinct advantage and be able to negotiate a price with the driver. For detailed information, read the Mexperience guide to Taxi Travel in Mexico. Local Bus – Local buses are available, but most of La Paz is accessible on foot provided that you’re not adverse to a good walk! If your budget is tight or if you want to see more of local life, local bus services are available which connect La Paz, Los Cabos and Todos Santos as well as other destinations further north such as Loreto, San Felipe and other destinations in Baja California. Starting in late January, the five week long festival of the Gray Whale takes place to coincide with the whales’ migration from the Bering strait. One of best carnivals in the country can be found in La Paz and it happens just before Lent. May 3rd, a party/festival marks the day Hernan Cortes landed on the Peninsula in 1535. If you enjoy competitive fishing, the annual fishing tournaments take place in August, September, and November. Telephone: Connect to the Communications in Mexico page on Mexperience for detailed information about keeping in touch and the latest table of national dialing codes. Exchanging Currency: Banks with ATM machines can be found in the downtown area of La Paz. During business hours, they and the Casas de Cambio will buy traveler’s checks and cash from you as well. For detailed information about exchanging and managing your money, read the Mexperience guide to Money in Mexico. Travel Insurance: We recommend that you are adequately covered with travel medical insurance and/or travel assistance insurance when you are visiting Mexico. Note that your US Automobile Insurance will not cover you in Mexico — you must get a top-up policy to be properly covered. 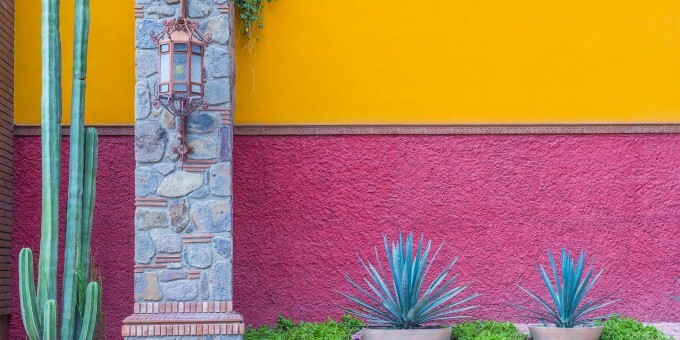 Read the Mexperience guide to Travel Insurance in Mexico for full details and links to specialist insurance suppliers. Internet Access: Internet cafes can be easily found in towns and cities across Mexico and WiFi is increasingly commonplace—from cafes, shops, hotels, and some cities even offer free WiFi in some defined public spaces. La Paz has a good selection of cafes, restaurants, bars and night clubs that will keep party-goers going to the early hours of the morning. Many visitors begin their evening with a drink at one of the cafes or bars along the malecon (boardwalk) to watch the sun set into the ocean. La Paz offers a number of small art shops; for a better selection of arts, crafts, and jewelry, take the short trip to nearby Todos Santos. The weather during the summer months will be extremely hot; cooler near the coasts. In the winter it can get cool and windy, so if you’re traveling in the winter, take some warmer clothes just in case the weather turns chilly, especially in the evenings. The rainy season is September, otherwise this part of Mexico enjoys sunshine and dry weather most days of the year.